A meal of hints and whispers. Nothing overtly asserts itself and assaults your palate. If anything, the flavors linger in the back of your mind — delicious and somewhat fleeting. The menu is a choice between 17 or 20 courses. This is not as gluttonous as it sounds. 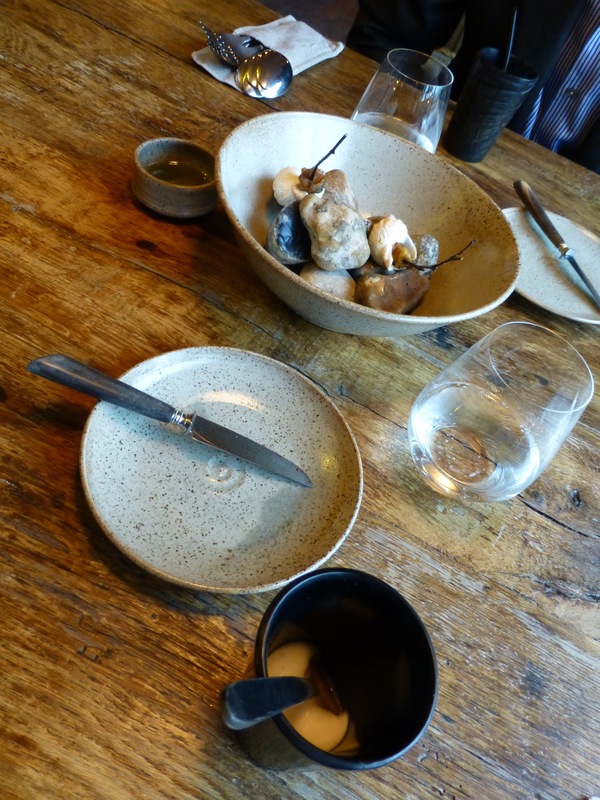 Unlike other tasting menus, the perfect portion sizing and pacing ensures that at no point in the meal did we feel antsy or over fed, when eating becomes a chore rather than an adventure. Instead, we enjoyed each “snack” with some introspection, marveling at its simplicity and subtlety and looked forward eagerly to the next. 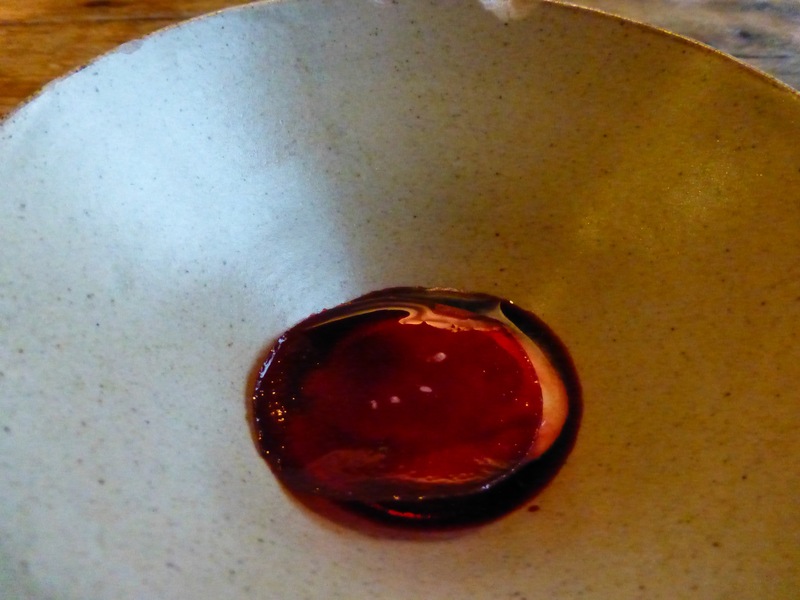 Beet purée. Rye crumbs. Whiff of lemon verbena. Uncanny how one notices each ingredient in the order it is described. 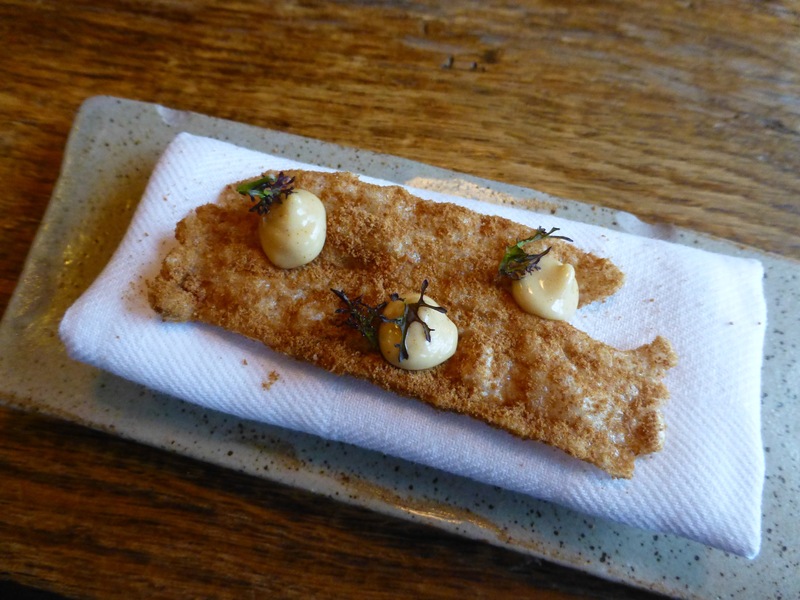 Crispy pork skin. Mustard powder. Mayonnaise. More like a cloud of pork skin filaments. It has to be handled VERY carefully lest the pork skin disintegrate right on your fingers. 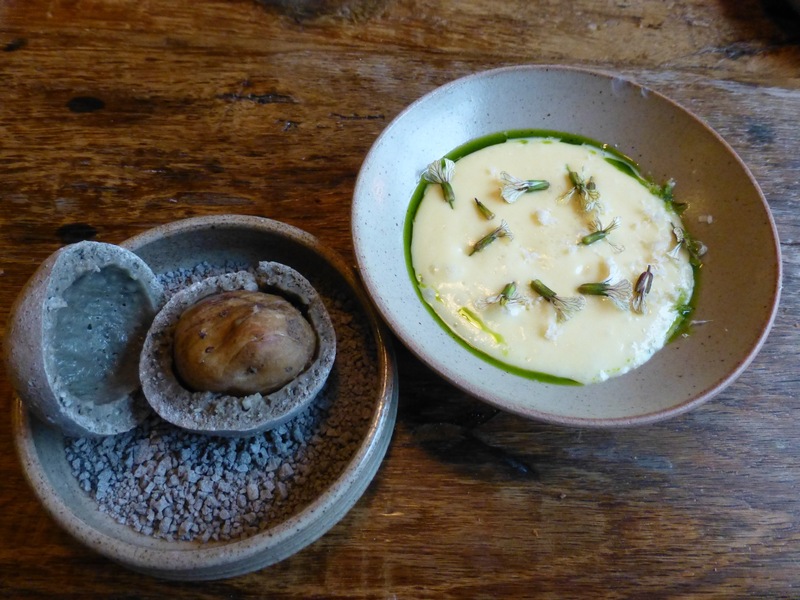 Whelks, reglazed with its own reduced cooking juices. Bay leaf oil and vinegar to bless the sweet chewy meat with a tinge of tang. Tartar of hay smoked mussels with a mussel and white beer foam on top. 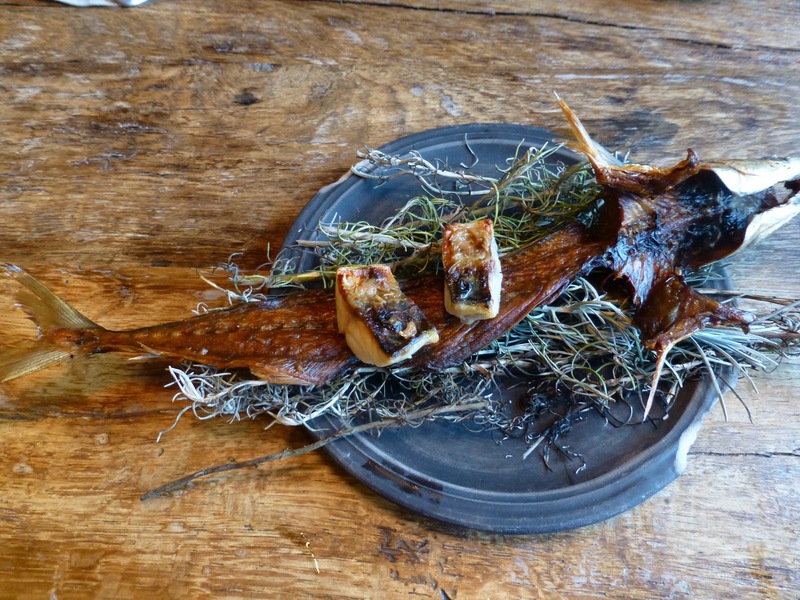 Mackerel, smoked and cured in curry plant (a doppeldanger for rosemary). After sampling the plump morsels, we would have gladly chewed on the lacquered fish skeleton had the waitress not stopped us with warnings of food safety (sharp bones). Back home, it would have made a perfect breakfast accompanied with fried eggs and garlic rice. 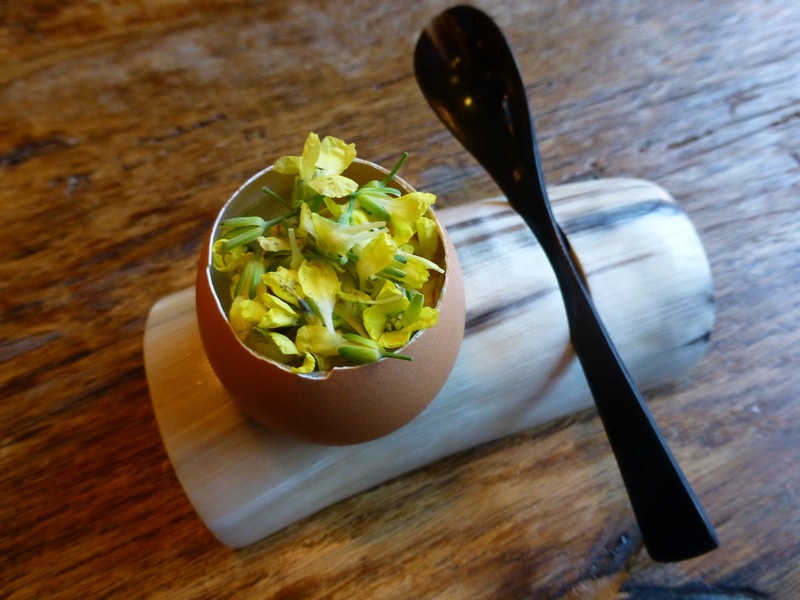 Hen’s eggyolk, slow cooked with cultured cream, leeks and radishes. Topped with very pretty brassica flowers which I’m guessing is where that tinge of mustard comes from. In any case, it’s so delicious that I scoop out every bit of egg clinging to the shell. Judas Mushrooms. 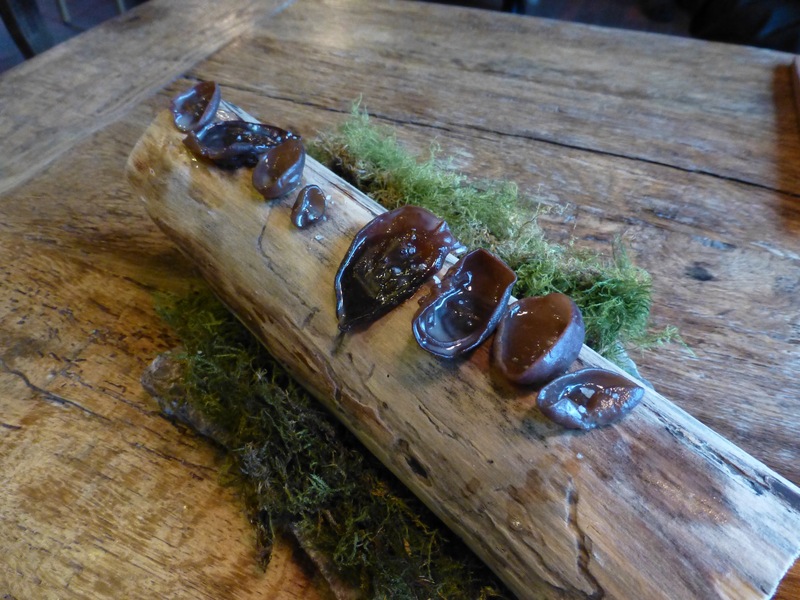 I know this as wood ears. In Chinese cuisine, it’s usually thrown into a melange of something for crunch not flavor. I’ve never eaten it on its own until now. With just a bit of salt, it shines all by itself. Yes, bread is a course. 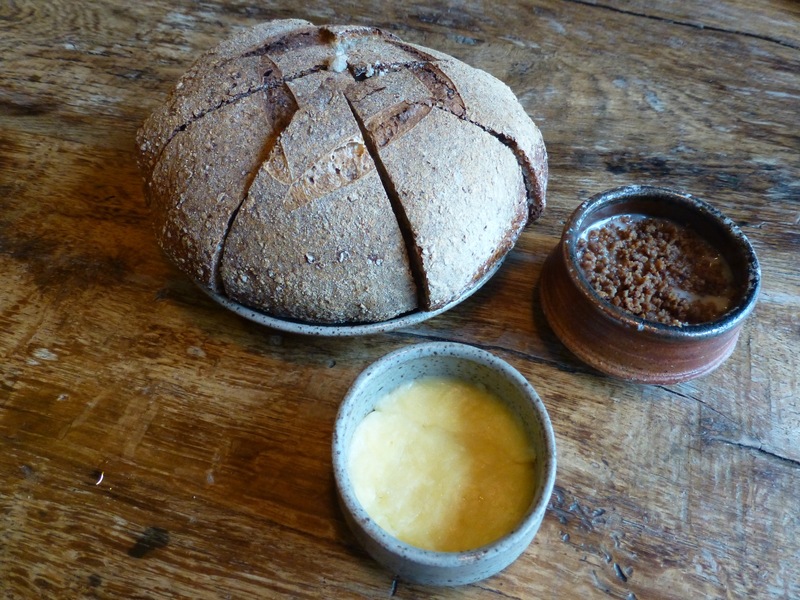 Naturally fermented sourdough and baked in their wood fire oven. Butter, aged in their charcuterie fridge for 2 weeks. Whipped pork fat with seeds and cracklings. 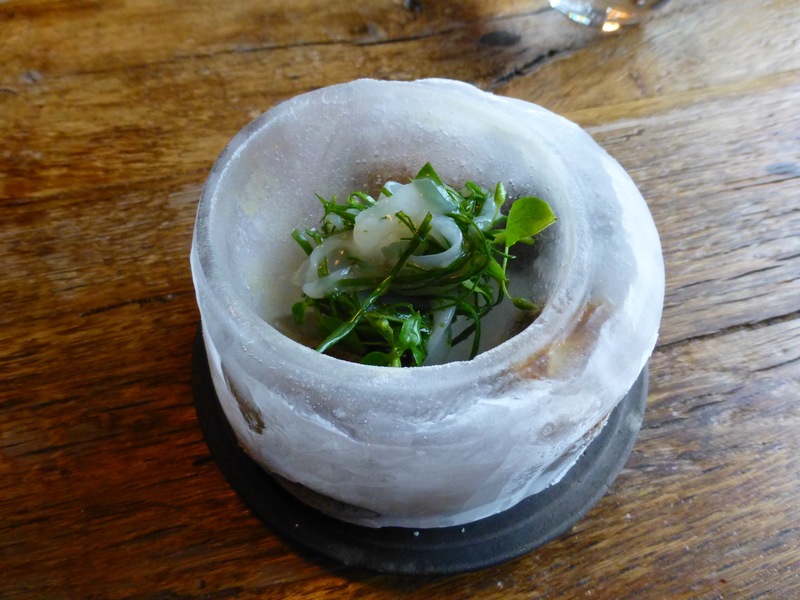 Chilled ribbons of raw squid made from the heads. Tossed in a dressing with a mixture of sweet herbs and sour sorrels. Eaten like spaghetti with wooden tongs. Grilled oysters from Grevelingen, near the North Sea. Smoked with pine and grilled over coal. 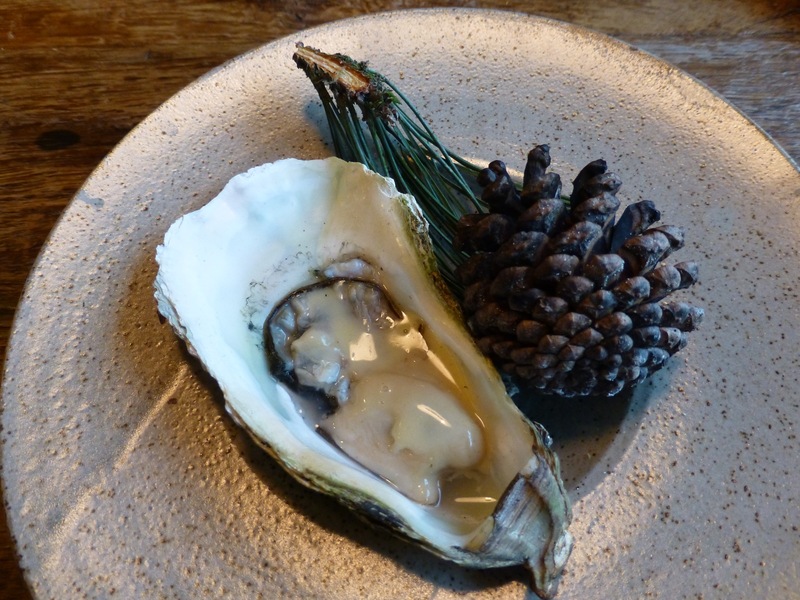 Plump, silky and briny with just a faint scent of pine needles. 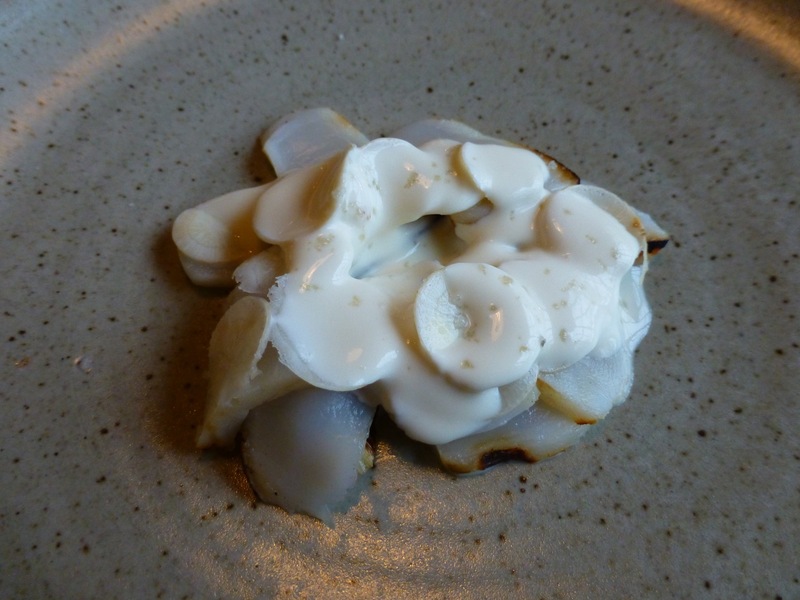 Scallops, grilled around the edges but left sweet and raw inside. 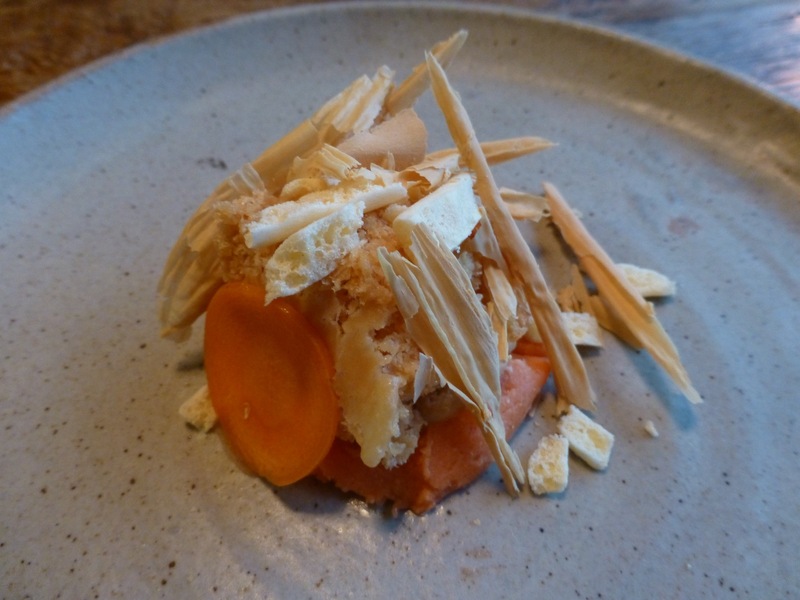 Parsley root (which I first mistook for celery root). Sour cream. Grilled Leek. Ghost of a tang. Karramel stomp. Potato cooked in buttermilk, puréed with a bit of white cheese. Topped with flowers from the allium family. Accompanied by a single potato in a crust of salt and ashes. 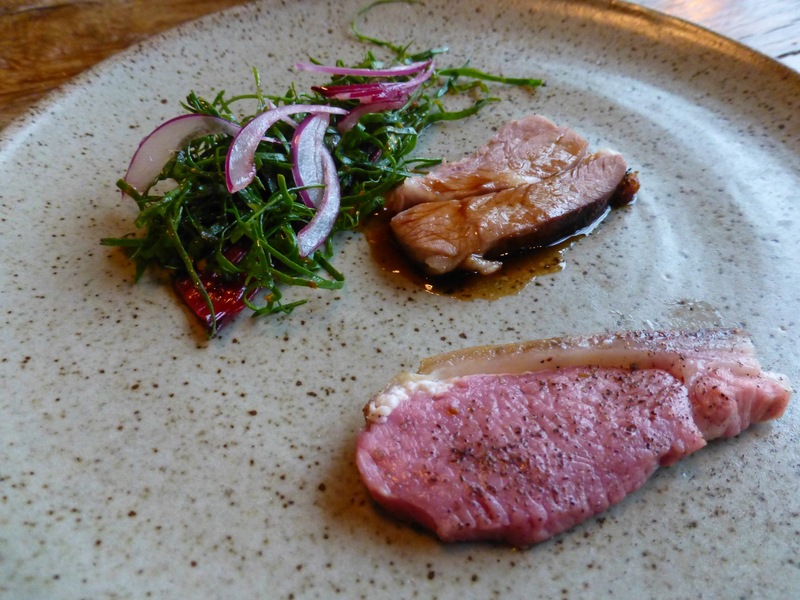 Lamb with swiss chard and red onions. The chard is left raw but sliced into thin ribbons and dressed with a little vinaigrette and some nuts. The lamb is very tender and very precious. 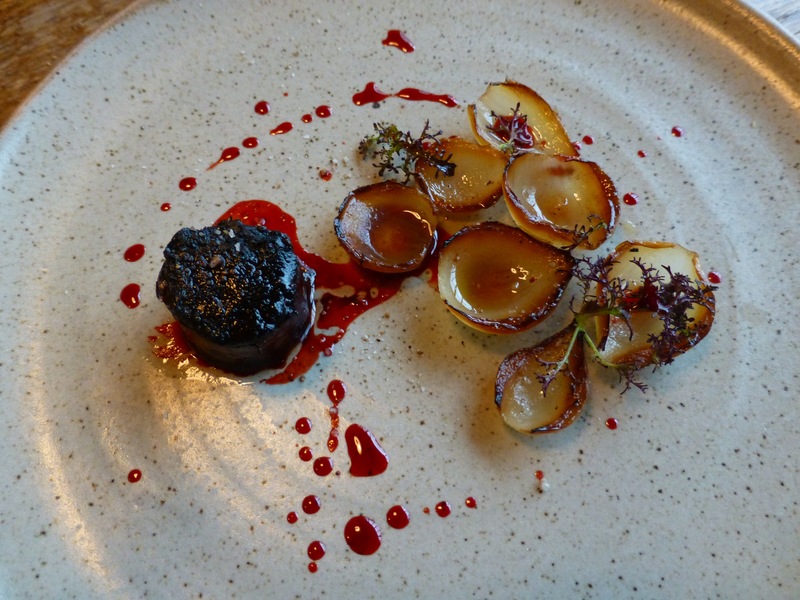 Blood pudding with confit onions. The pudding is runnier but way more delicious than usual. 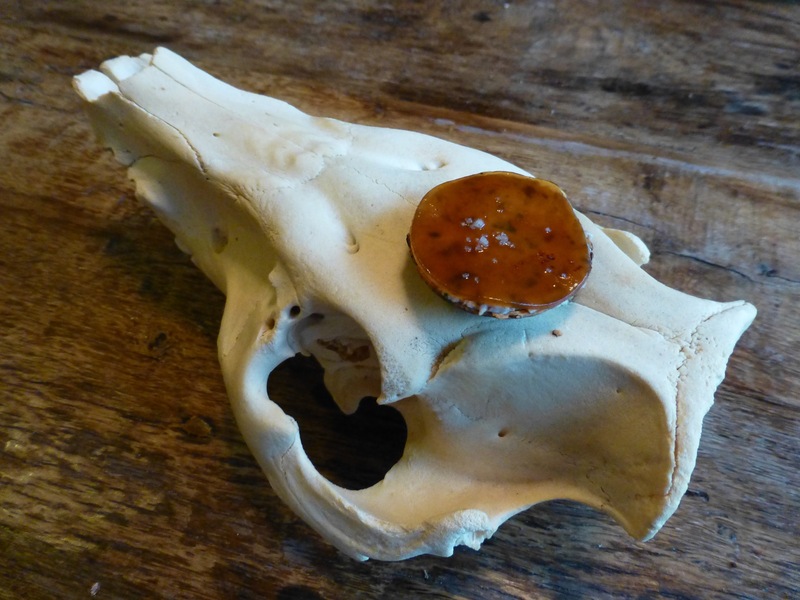 There is a slight tang to the tart of pork brains resting on top of the pig skull. 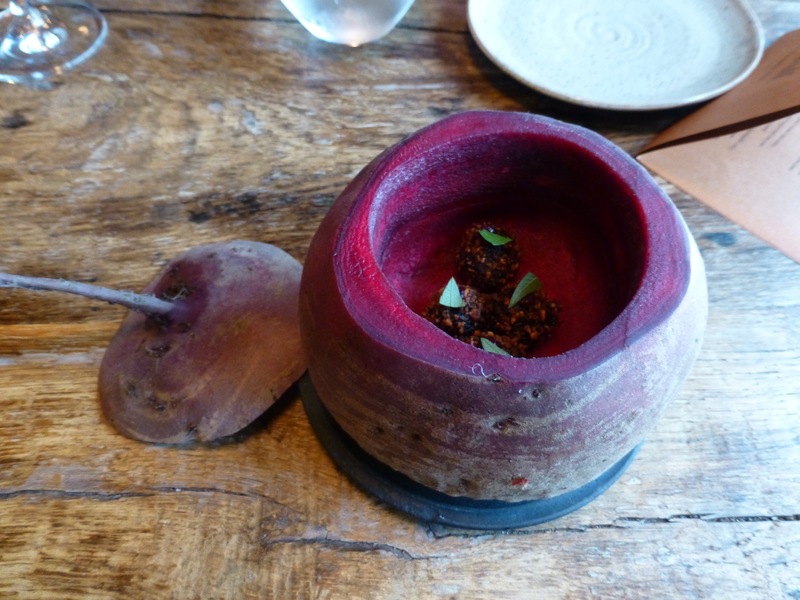 Beetroot with yoghurt, buttermilk ice cream and rose hip. Buttermilk for tartness. Rose hip for fragrance. Beetroot for sweetness and color. Fermented carrots. Caramelized white chocolate. As with everything in this meal, the carrot slices only hint at being fermented, as if they had only marinated in the dilly juices for hours instead of days. The carrot purée is a different story. It’s funky and surprisingly goes well with the white chocolate shavings. 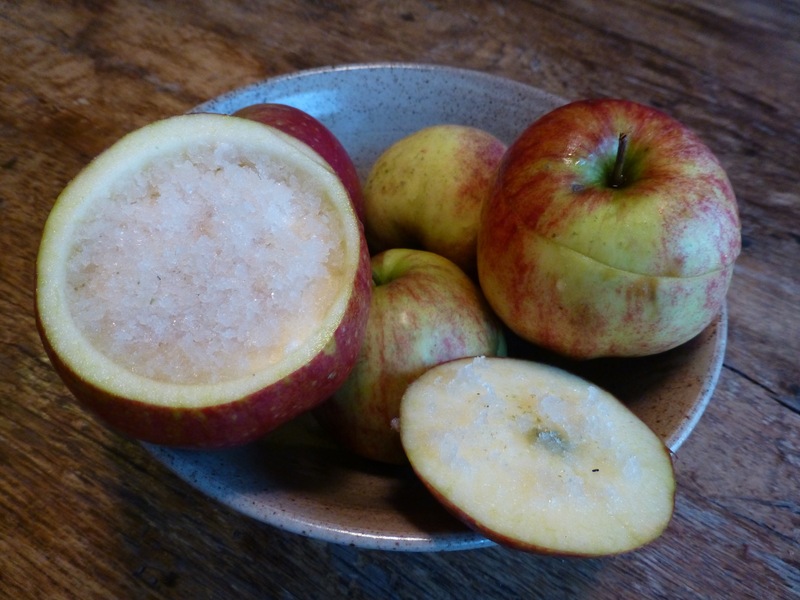 Bowl of apples, two of which are hollowed out and packed with apple granita. Bear claw herb ice cream. A Google search yields a medicinal herb also known as Devil’s Club, supposedly used by shamans to enhance their mystic powers. With that, we’ve come full circle to the first course. 1. 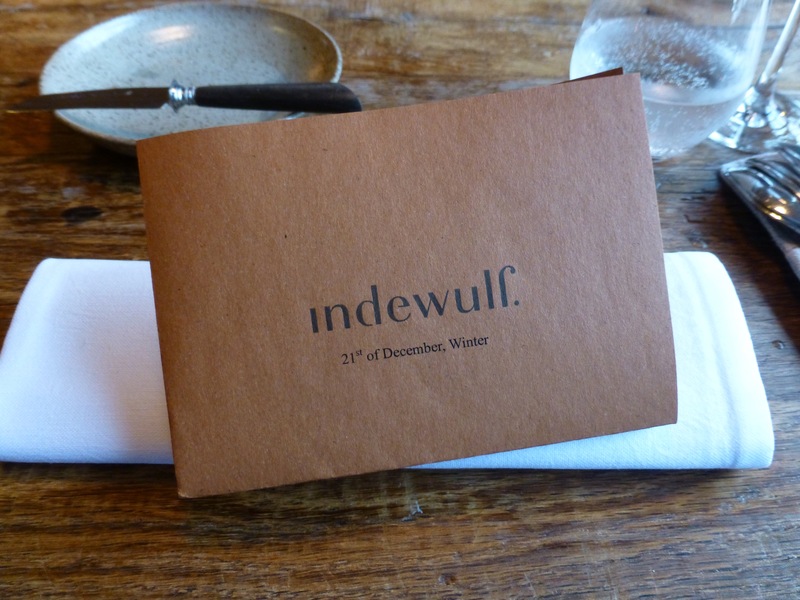 In a country where bottled water costs as much as a glass of wine or beer, I thought Indewulf charged a very fair price for this precious commodity compared to other Belgian Michelin starred restaurants. 2. I’ve never had a dining experience that starts with a tour of the kitchen. In my opinion, it’s a brilliant idea. It forms a deeper connection between the food preparer and food consumer. After all, food does not miraculously appear on my plate. After the introduction, they are not just an invisible army to me and (I hope) I am not just a table number to them. 3. The kitchen is divided into four stations — hot, cold, pastry and bakery. All in all, there are about 24 people in service today for the 30 or so diners out front. 4. Service was efficient if a bit odd. For instance, they came running with a replacement napkin after my husband’s first one fell to the floor; yet, I had to explicitly ask for a change of plates after a few snacks had come and gone. ~ by Jaded Fork on December 22, 2014.